Violet Sapphires: The cause of colour is due to a combination of Chromium (Cr) and a mix of Titanium (Ti) and Iron (Fe) as trace elements. Violet sapphires are found mainly in Sri Lanka, Burma, Madagascar, Tanzania, Thailand, Cambodia and Vietnam. In days gone by violet sapphires were hardly marketable but in the last few decades’ jewellery with suites of colours have become quite popular and these stones fit in well in such suites. 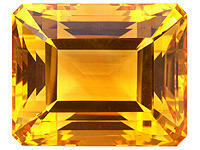 Citrine : Probably the commonest of all minerals on earth. It belongs to the quartz family and its common name is Silica ( Silicon oxide- SiO2). Much of the dust blowing in the wind consists of Silica and is also that which goes into the manufacture of glass. It is probably found in every corner of the earth. Zircon: Comes in a wide array of colours from the colourless (Heated) through Sky Blue (also heated) to yellow, golden brown, red, orange and intermediate ranges of these colours. 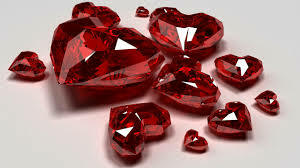 Spinel:Analuminate of magnesium, one comes across a wide range of colours and the recent finds of red and blue spinels rival rubies and blue sapphires in their hues. 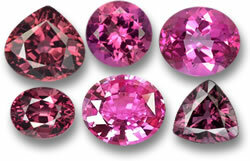 Spinels are also found in shades of purple, pink, violet, & grey-blue. While a truly colourless spinel is rare, since of late a few have been found in Sri Lanka and other localities. 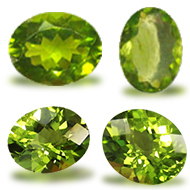 However a true deep green spinel is yet to be discovered.